Mrs. Faubion is the middle-school science teacher. 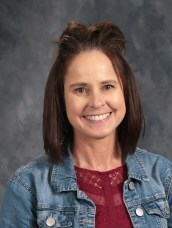 She has 17 years of teaching experience, a BA in biology from Indiana University, and a teaching license from IUPUI. Mrs. Faubion loves teaching and sparking kids enthusiasm for learning. “Children only learn from those they love,” is the basis of her teaching philosophy. She also believes it is important to create lesson plans that present scientific concepts in a variety of formats so that all students are reached and involved. Mrs. Faubion is married to Jeff Faubion and together they have three sons: J.C., Jacob, and Joseph.